Barred! 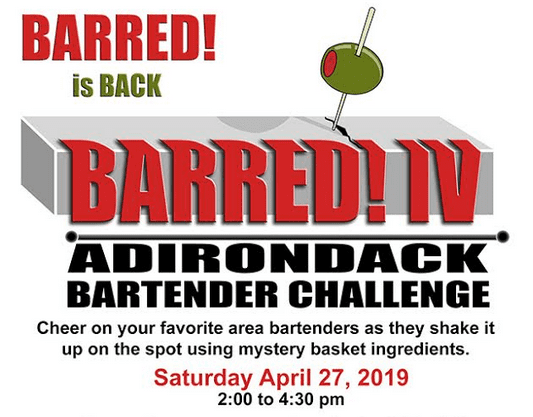 IV, The Adirondack Bartender Challenge presented by Happy Hour in the High Peaks, is set to return to Basil & Wick’s in North Creek on Saturday, April 27th, from 2 to 4:30 pm. There is no charge for admission to the event. Inspired by the reality TV show CHOPPED, bartenders face off to create a winning cocktail utilizing a mystery basket of ingredients. Contestants have just minutes to make, name, and present their drink while hometown fans cheer them on. A panel of judges evaluate each contestant on presentation, technique, creativity, and taste. The first-place winner will receive a trophy, a prize, and bragging rights. A People’s Choice Award will be given to the crowd favorite. 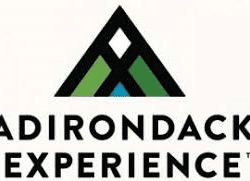 Bartenders must preregister by April 22. For more information, or to register, email basilandwicksthom@gmail.com or happyhourinthehighpeaks@yahoo.com. Basil & Wick’s is located at 3195 RT-28 North Creek, NY.